The print date for this issue of MSR also happens to mark what would have been the 60th birthday of Prince Rogers Nelson. As Prince’s faith journey ultimately led him away from celebrating birthdays, I will respect his beliefs and refrain from wishing him a happy one here. As fate would have it, however, the month of June also happens to be Black Music Month, which by a bit of cosmic irony was first declared by President Jimmy Carter on June 7, 1979, Prince’s 21st birthday. 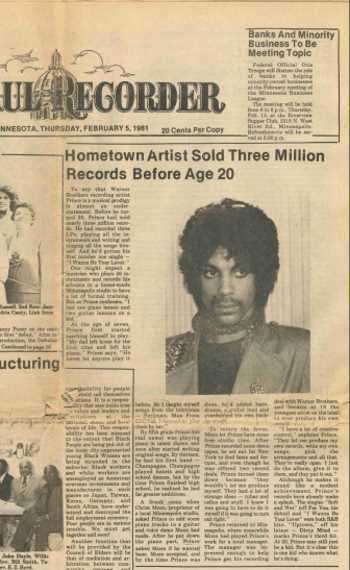 So in recognition of the 39th anniversary of Black Music Month, let us use make full use of this column’s chief purpose and honor of Minnesota’s favorite son, Prince. Prince is from the school of James Brown… But Prince got some Marvin Gaye and Jimi Hendrix and Sly in him, even Little Richard. He’s a mixture of all those guys and Duke Ellington… It’s almost like he can do it all… [Prince and Michael] are both motherf*#ers, but I like Prince a little better as an all-around musical force. Similar praise has been repeatedly bestowed on Prince by other legends that include Stevie Wonder, Aretha Franklin, Maceo Parker, Joni Mitchell, and Chaka Khan, just to name a handful. Now, whether or not one subjectively believes Prince to be the best ever (as do I), it seems irrefutable that his genius, prolific nature, innovation, and inimitable charisma have left an indelible and unparalleled impact on our culture, both here in America and across the globe. With that in mind, I would like to use the next four columns during Black Music Month to muse over just some of the things that made Prince so amazing, starting with the one thing that was a perfect complement to his otherworldly talent: his drive. Several of those who encountered Prince in his teenage years were able to ascertain his ambition almost instantly. Pepé Willie, who came to know the young Prince through his marriage to Prince’s cousin Shauntel Manderville, was the first person to ever take Prince (as well as André Cymone) into a professional studio to record with his band 94 East. When producer Chris Moon later told Owen Husney that he’d heard “the next Stevie Wonder,” Husney was skeptical. That is until he, himself, heard the demo that moved him to become Prince’s first manager. He cited not only his musical gifts and extreme intellect, but the determination in his eye which he likened to a “young Little Richard.” Warner Bros. Records, while in pursuit of Prince, would discover just how focused and resolute his vision for his own career was. 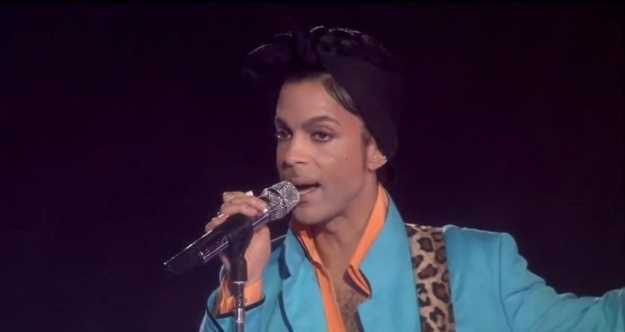 The label conceded and assigned Tommy Vicari to serve as executive producer, but Prince essentially ignored Vicari and assumed complete control of Sausalito’s Record Plant in the making of his debut album For You. On the occasion that label representatives from Los Angeles flew up to assess Prince’s progress in the studio, one of them questioned the absence of a bass line on a particular song Prince was mixing. At that moment, as Husney has notoriously recalled numerous times over the years, Prince ordered everyone out of the studio, which included his “bosses” from Warner Bros. When For You was released on April 7, 1978, its liner notes reveal that Prince performed all vocals and all instruments (26 in total) and the phrase “Produced, arranged, composed, and performed by Prince” was born. From the very beginning, Prince refused to be subject to any creative or stylistic boundaries whatsoever. Moreover, as Prince told Detroit DJ The Electrifying Mojo on the eve of his 28th birthday, he was always driven to do things his way as it “usually is the best way.” And this is just one of the things that made him so great, so transcendent.